ruffeoheartslilsnoty is selling this on etsy. If I owned this, I could be Carlton for halloween. Next time I am in Brooklyn, I am going to find these people and their incredible color clothing. Yesterday they wired me up for an EEG. It was fine to have to wear wires on my head for 24 hours, and they were not that uncomfortable. The removal of the little sensors was definitely one of the worst experiences that I have ever had. Each one was glued on wit something that smelled like Duco cement. In order to take them off, they had to soak them with acetone, it was like having a shampoo with nail polish remover. Is it time for a change? Should I clean up a bit and change the wall colors? I am pretty sure there are things that I could do to make this place a little brighter and more interesting. I like the idea of some new wallpaper. 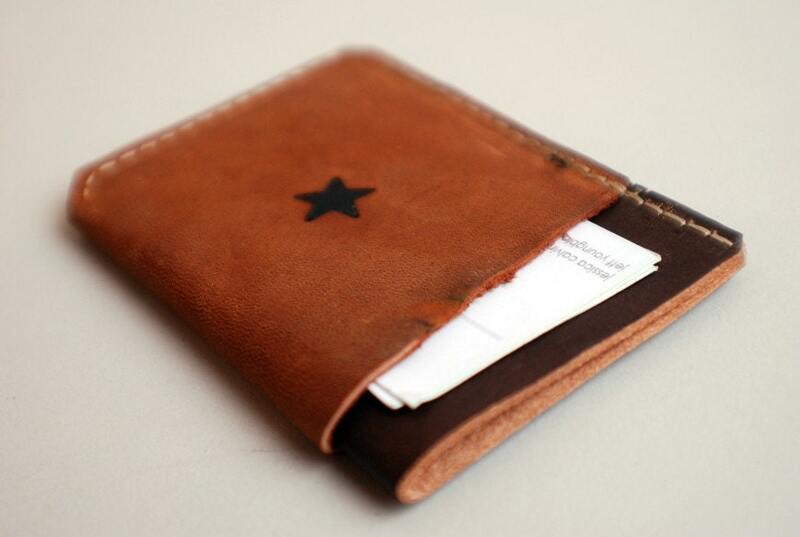 A while ago I did a trade with Momentum8studio for a wallet. 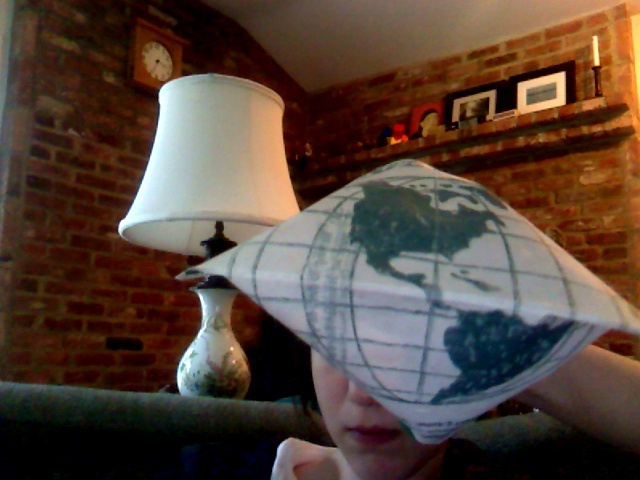 I got my wallet on the first day of the world cup, exactly four years after I made my huge multi-pocket duct tape wallet. It is very nice to downsize to something that holds what I need, not everything I can collect. There are a bunch of them on his blog, and they are pretty funky. With all those colors, I may have to get another just for variety. 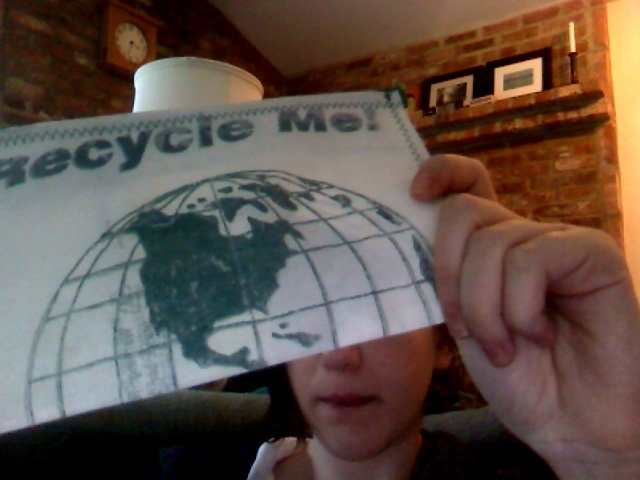 It told me to recycle it, so I turned the grocery bag into a reusable pencil bag. I will have to take better pictures later. The game is about to start. I think that the USA will win 2-1. So I got that wrong, but It was a good game anyway. Both goalies were awesome. I am off to the post office to send my first TWO etsy sales. Momentum 8 studio was kind enough to trade a new wallet for some industrial felt. I have needed a better wallet for a while now, and he gave me the perfect one. Pictures will be posted when it is received. Then out of nowhere, last night I got a convo from Momentum 8 studio congratulating me on my second sale. A lady bought a fortune cookie pendant from me. It was so exciting. I wrapped the felt up in an odd triangular box, it isnt pretty, but it is a hard shape to accomodate so it will have to be ok. The fortune cookie is safely packed in a tiny box. I was so happy to send it off that I drew a little chinese food container card to hold it. I hope that it arrives safely. At like 11:00 I noticed that something was missing again in my shop. A friend was kind enough to buy a fortune cookie pendant as well as a key chain. It is very nice to know that I did something right this time. There are three people who are happy to have something that was made by me. That is pretty cool. There are record bowls, record cuffs, record swirls, laser cur records, record purses, and a lot more stuff made out of old records. Yet, never before (or at least not on the internet) has anyone made a fortune cookie out of an old lp. A year ago, my grandparents decided to get rid of a bunch of records, many of which were scratched beyond use. I kept the unplayables so that I could make crafts. The problem is that record bowls and clocks are really kitschy and can only be used sparingly in any non music themed home. And so I began experimenting. I have two sized of scratched records, lps and 45s. The 45s are particularly annoying because the centers are thick and melt at a slower rate than the rest of the record. After a few failed attempts to make huge fortune cookies out of the 45s, I decided to cut an lp into smaller pieces. As it turned out, the fortne cookies made from the lp are exactly the same size as real fortune cookies. The 45s make perfect tiny fortune cookies that look great as jewelry. I strung some up and put them on etsy and made a few key chains too. I just got back from Walmart. Besides getting two pairs of Miley Cyrus jeans that were on super sale, I got Galaxy Quest with a holographic box for only $5.